So, in essence all we need to do is find a way to gently tiptoe past that gatekeeper and we're home free. Keep in mind that while you can upload your music, buying new tracks isn't going to happen until it rolls out in your neck of the woods in a more official way -- but hey, most of a good thing is still a good thing. There are various means to get this done, and we've found a pretty straightforward route, and if you're up to it click on through to the guide. We've made this how-to as straightforward as possible, but it will require a couple tools to help game the system and a bit of time to get it all running smoothly. First and foremost, since the Google Music app isn't available in markets outside of the States you'll need to source that – don't ask us where to get this, we simply don't know, but a Google search can do wonders. Once you've dug up com.google.android.music.4.0.9.apk, put it aside somewhere safe. Next step is to head on over to the Tor project website and grab the Tor bundle for your operating system. What's Tor you ask? Tor is a network of virtual tunnels that can increase security and anonymity while playing on the internet. The military uses it, police services use it, and now, dear reader, you're about to use it. We're not really interested in the privacy aspect of Tor in this case, but we are interested in our exit node from the Tor network. Our goal is to ensure that when our login request lands at Google Music's door our IP address is one from the United States, so grab it and extract it to your desktop. Fire up Tor from your desktop, the Vidalia control panel should start and get connected to the network -- watch for the onion icon in the UI to turn green and for an integrated browser to start. Kill the browser as we won't need it 'til a little later on. Now, we're going to find a US-based Exit Node, copy its info down and then edit Tor's config file -- don't worry, we'll include screenshots of each step, and then, if that wasn't enough a video walkthrough is available at the bottom of the guide. 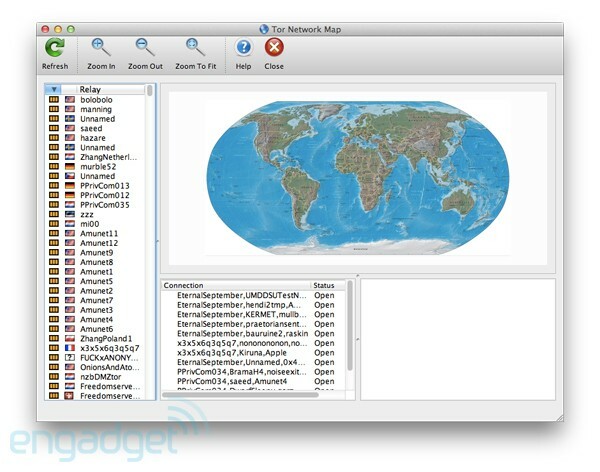 From the main window, hit the "View the Network" button and a new window should open with a map of the world with a list of nodes on the left side. We need to select a US node – see the little map icon? Find one with an American flag that's close to the top of the list, right click on it and choose copy --> fingerprint. Exit out of the Network Map window and back to the Vidalia Control panel. Next step is to take the fingerprint we so carefully copied and edit the config file to force Tor to only use this node. Click settings, and then hit the advanced tab. In the middle of this tab you should see a button to edit the torrc file, click that and you'll be presented with a text editor that sets up some of Tor's behaviors. When done, your changes should look like the image below and if it does, now's the time to push the OK button to save your work. Once back at the config window, we'll need to exit Tor and then restart it with our fix applied. At this point, the tougher stuff is done. If you're still with us, we're almost home free -- and we're super impressed with your vigilance. Once Tor has restarted, the integrated browser will eventually open confirming you're using Tor. Now we can login to https://music.google.com using this inbuilt browser. You may get redirected to a Google notice page asking for confirmation that you're really you, as you're logging in from a new location, but no sweat, this is a good sign so answer the question and proceed. If the cosmos aligns, you'll log into Google Music and a terms of service pop up should appear, accept them. After you've accepted the terms, close out the Tor browser and then exit from Tor by shutting the program down -- we won't need it again, so feel free to delete it if you wish. Now we can test to make sure Google Music will let you in: start your favorite browser, surf to https://music.google.com and login. You should be whisked straight to the Google Music desktop where there will be a link to get the music upload client. All that remains to be done on your desktop is to install the upload tool and start uploading music. To wrap up the entire deal, now's a great to time to install the Google Music Android client on your phone or tablet and finally associate it with your account. We're done! You can now upload your most favorite 20,000 songs to enjoy on any of your devices, no matter if online or off. Hit up the video if all these words made your mind numb, or you simply can't be bothered to decipher them. Update: As we said, there are other ways to get this working. Hotspot Shield has been suggested in the comments, and if that works for you, well done. Fewer steps are less painful. We also tried a pile of web proxies and had rough results so settled on this which works every time. Toss in your alternatives in comments below!